Mainly cloudy today. Wind becoming NW 30 km/h gusting to 50. Currently our temperature is 13C, winds are from the NW at 27 km/h and gusting to 50 km/h throughout the day. There are no weather warnings but there is a MARINE WIND WARNING for the LAKE today: Issued 03:00 AM CDT 04 September 2018 Today Tonight and Wednesday.Strong wind warning in effect.Wind south 15 knots increasing to northwest 25 early this morning then diminishing to northwest 15 early this evening. Wind west 10 Wednesday. Our FIRE DANGER continues to sit at LOW: Low (Green) – Fire starts are unlikely. Weather and fuel conditions will lead to slow fire spread, low intensity and relatively easy control with light mop-up. Controlled burns can usually be executed with reasonable safety. Image Credit & Copyright: Marcella Giulia Pace (GreenFlash.Photo)Explanation: What’s happened to the Moon? Nothing, but something has happened to the image of the Moon. The heat from a volcanic lava fountain in the foreground has warmed and made turbulent the air nearby, causing passing light to refract differently than usual. The result is a lava plume that appears to be melting the Moon. The featured picture was taken as the full Sturgeon Moon was setting behind Mt. 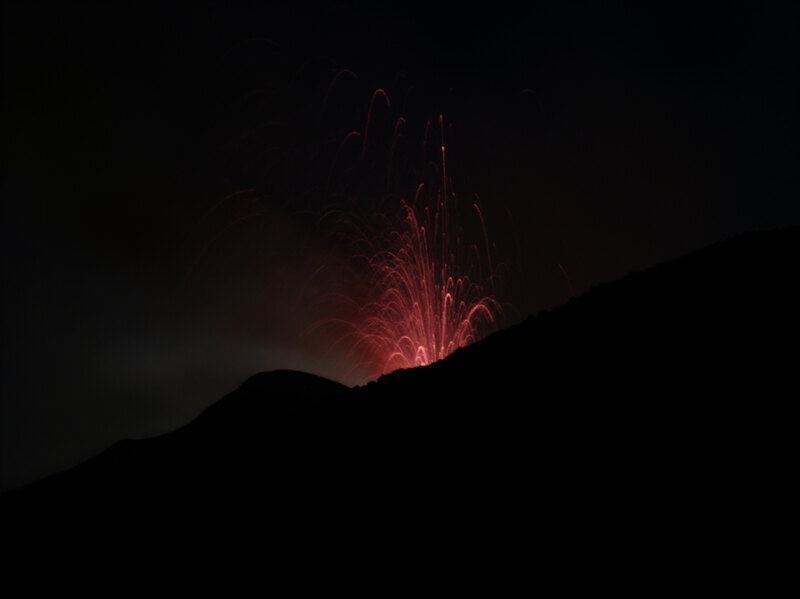 Etna as it erupted in Italy about one week ago. The picture is actually a composite of two images, one taken right after the other, with the same camera and lens. 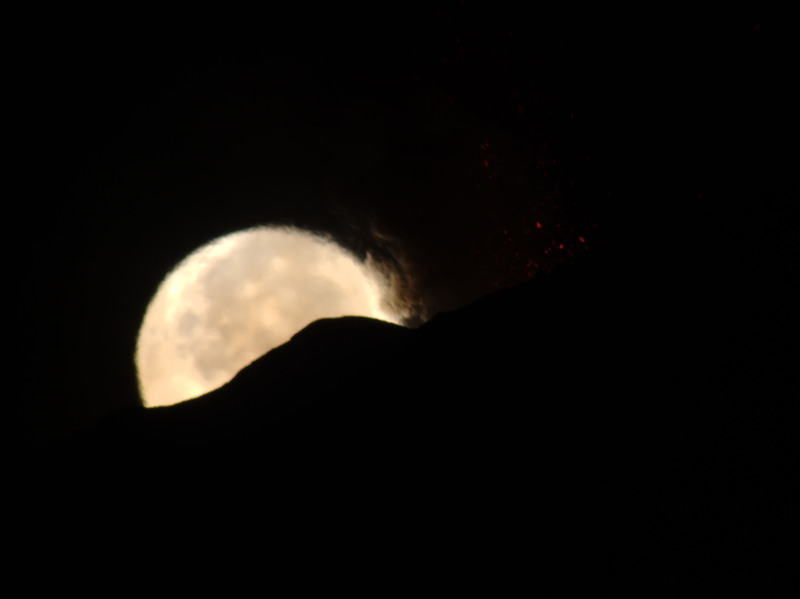 The first image was a quick exposure to capture details of the setting Moon, while the second exposure, taken after the Moon set a few minutes later, was longer so as to capture details of the faint lava jets. From our Earth, we can only see the Sun, Moon, planets, and stars as they appear through the distortion of the Earth’s atmosphere. This distortion can not only change the images of familiar orbs into unusual shapes, it can –unexpectedly at times — delay sunset and moonset by several minutes.